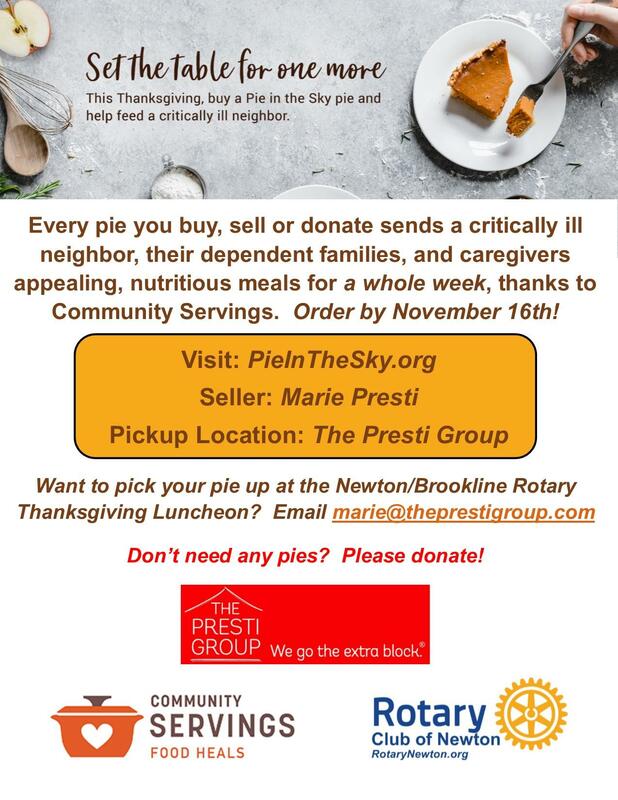 In collaboration with The Presti Group, Newton Rotary is supporting Community Servings again this year by selling delicious, homemade pies! Every single pie you buy, sell or donate feeds a critically ill neighbor, their dependent family and caretaker(s) for a whole week. Isn't that nice? You can pick your pie up at our Thanksgiving Luncheon on the 20th, or at The Presti Group office. See the flyer for details. A special thanks to Marie Presti for coordinating this delicious and important service project!